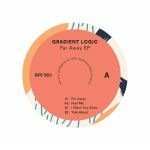 Review: Even if Russian producer Gradient Logic is found here turning out the business on Serbian label Disco Fruit, the sound on the Far Away EP comes on like a snappy fusion of Garage-ready New York proto house and laid back West Coast boogie of the highest order. It's the third vinyl release for Tonbe's label, and once more marks the serious clout behind the Eastern European operation and its closest artists. Just try grooving to the slick bass pops on "Feel Me" without being transported to an early 80s dancefloor. There's a more organic funk to lock into on "I Want You Slide", but as ever it's hard to tell where the sampling ends and the musicianship begins on this utterly natural sounding EP. 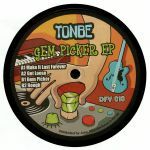 Review: Disco Fruit head honcho Tonbe returns to his own label with more of the addictive, feel-good vibes he's become so well known for. "Make It Last Forever" is a string laden, emotionally charged shuffler with sweet vocals that sound like they could belong to house titan Robert Owens. 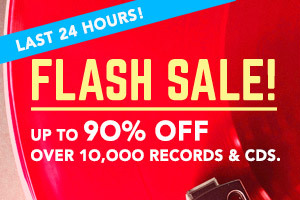 "Get Loose" places the emphasis on a cheeky piano line that will have you strutting and finger waving with abandon, while "Gem Picker" gets deep on the choppy drums and smooth jazz samples. "Rough" is a seriously funky number, oozing warmth and soul to set your party off in all the right ways.